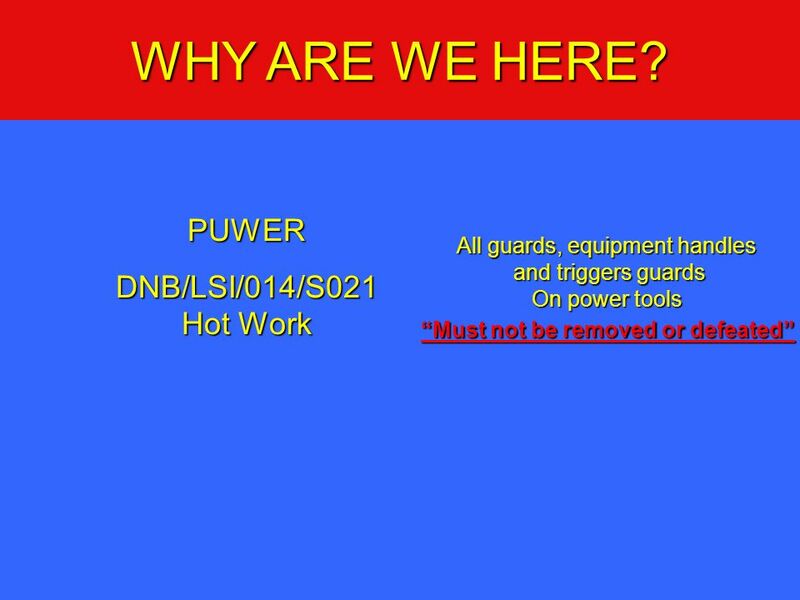 All guards, equipment handles and triggers guards On power tools “Must not be removed or defeated” PUWER DNB/LSI/014/S021 Hot Work The grinder  A grinder when supplied with a side handle must have it fitted and it must be used as per design This handle provides:  Stability on start up and use  Control during use  Vibration control/dissipation  Reduces likelihood of inadvertent operation “switch on”  Improves safety control of grinder in case of a slip These units are designed to be used with 2 handles (a trigger handle grip and a side grip handle) and must always be operated as a 2 handed operation (As per manufacturer's instruction). Discs  Right disc for the job - the disc selected for the task must be designed for that function.  Cutting discs - Designed for cutting – Metal/Stone.  Grinding disc - Designed for grinding - Metal/Stone.  Any disc that can be used for both tasks must be used as per manufacturer instructions.  Never use a disc outside its design criteria and if in doubt clarify with the supplier/manufacturer. 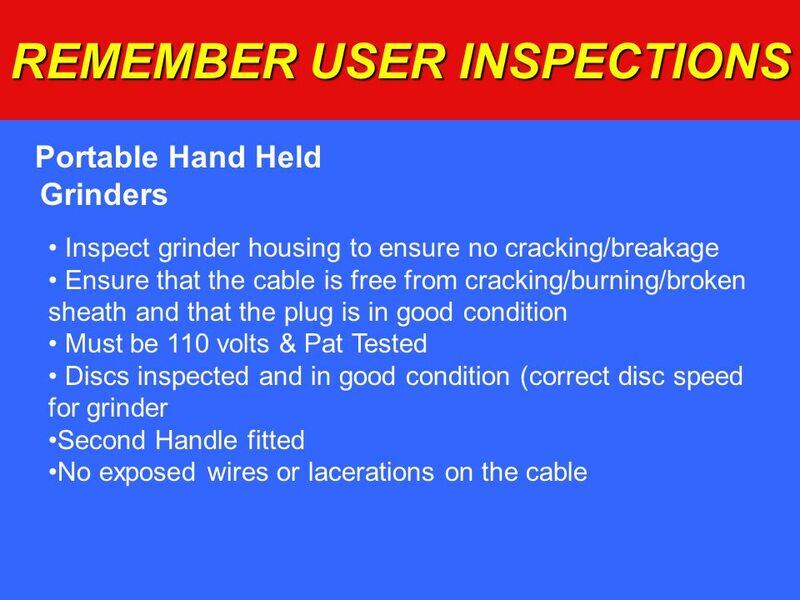 General issues  Unplug - Always unplug/disconnect any electrical or pneumatic tool when changing the disc/tool. 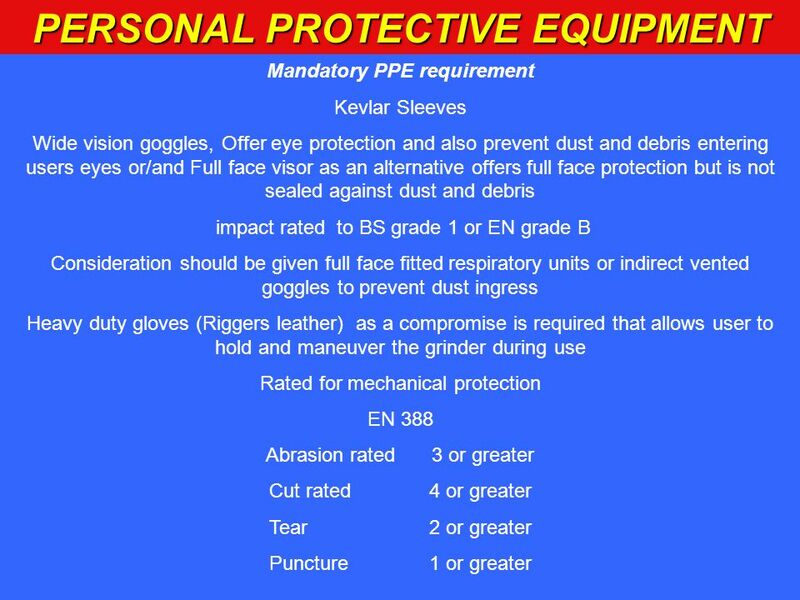  Protect - Wear (2 ply) Kevlar armlets when grinding or other wrist/arm protection PPE that offers the same protection (This is mandatory). Stores code  Put it down - Before repositioning yourself, wait until the disc is at a standstill, then place the grinder in safe position. 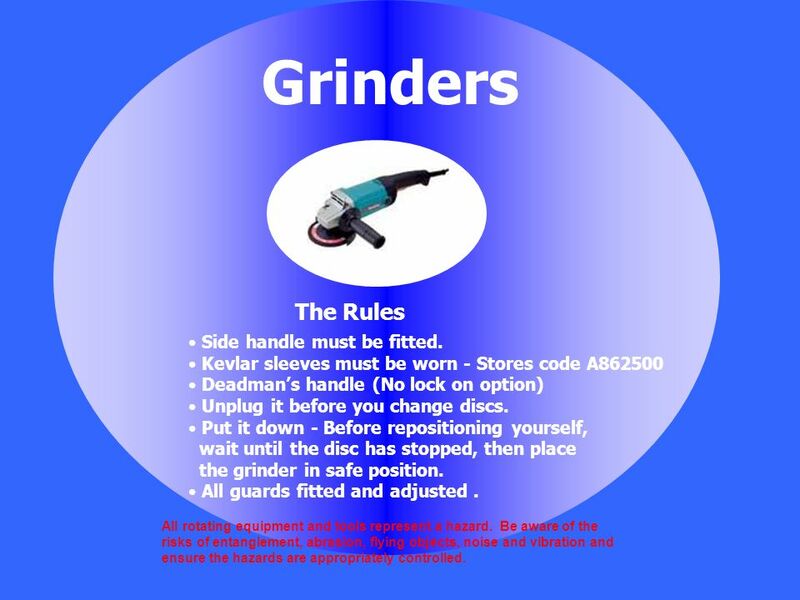 Don't walk around with a live grinder with your finger on the trigger - this can lead to inadvertent operation and increased risk of personal injury. 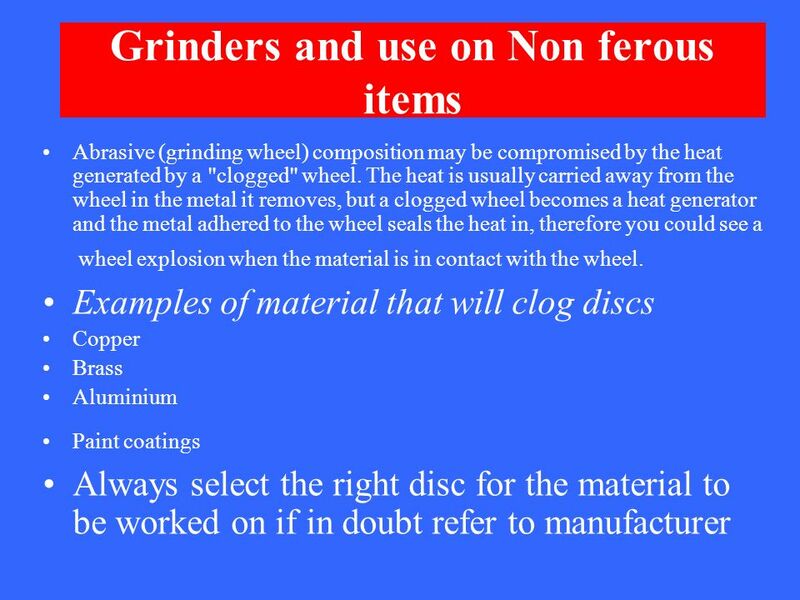  Correct Operation - Ensure the disc is at full speed before starting grinding/cutting.  Risk Assessment - At Dungeness B a risk assessment process has been developed and must be completed if the side handle is to be removed. 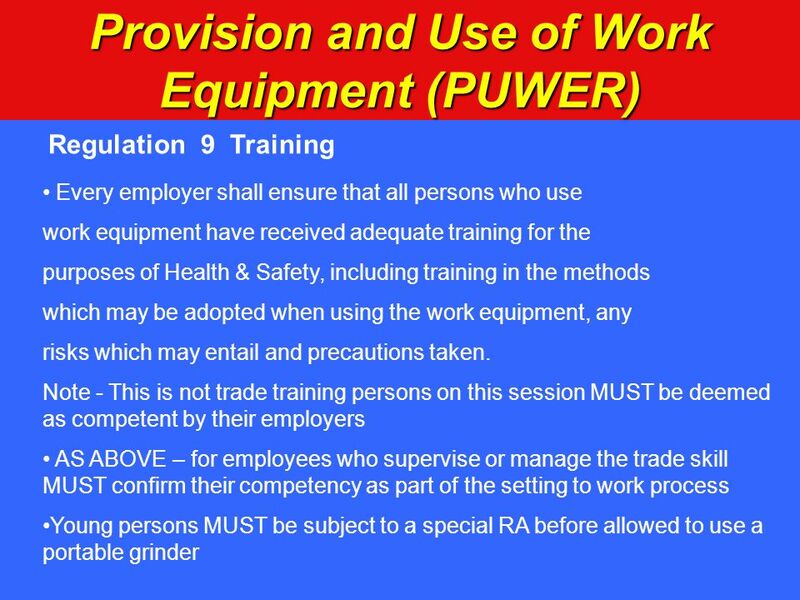 An assessment of the access, lighting conditions and the physical dimensions of the individual being set to work shall be considered.  Point of Work Risk Assessment - User to complete POWRA and record the findings. 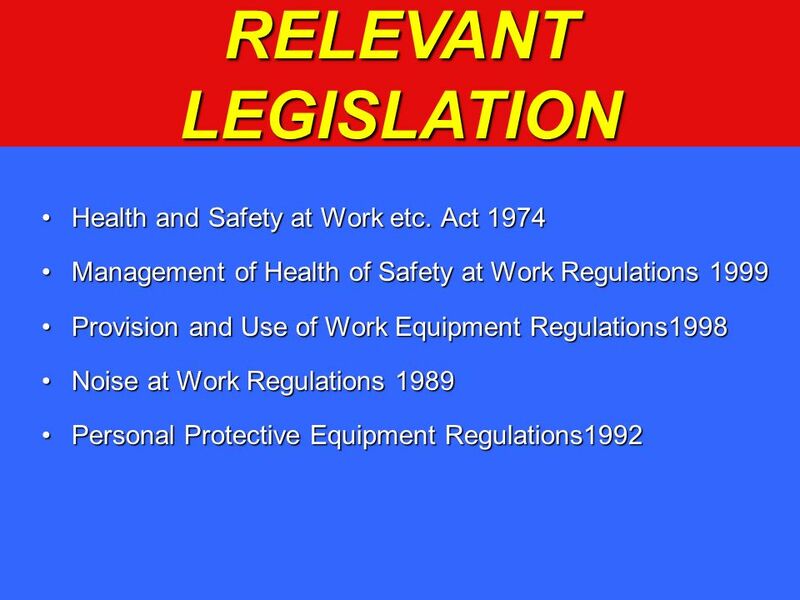 Do not proceed if you have identified issues on your point of work that have not been addressed adequately. 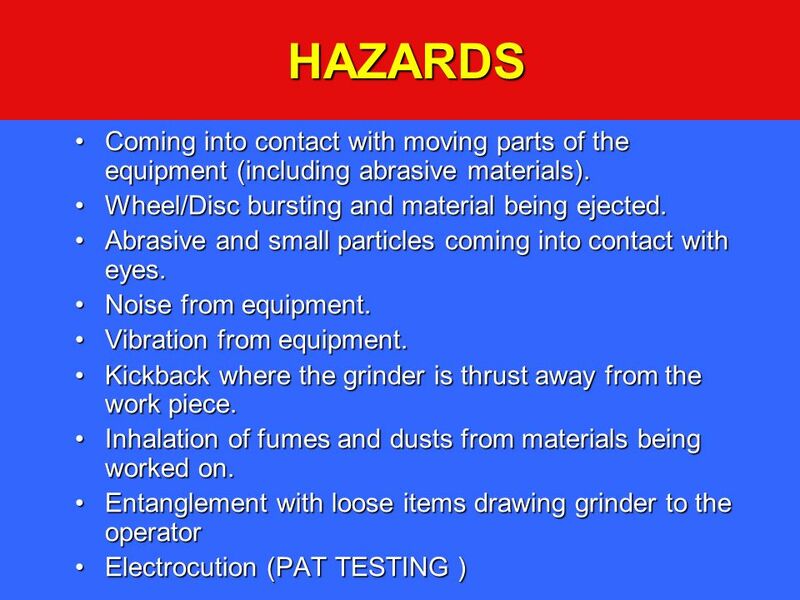 All rotating equipment and tools represent a hazard. Be aware of the risks of entanglement, abrasion, flying objects, noise and vibration and ensure the hazards are appropriately controlled. 5 Grinders The Rules Side handle must be fitted. 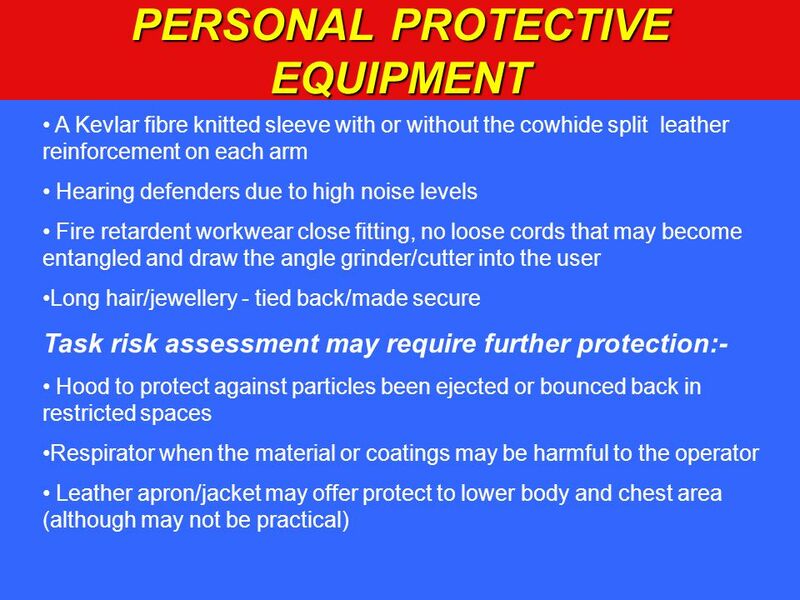 Kevlar sleeves must be worn - Stores code A862500 Deadman’s handle (No lock on option) Unplug it before you change discs. Put it down - Before repositioning yourself, wait until the disc has stopped, then place the grinder in safe position. All guards fitted and adjusted . 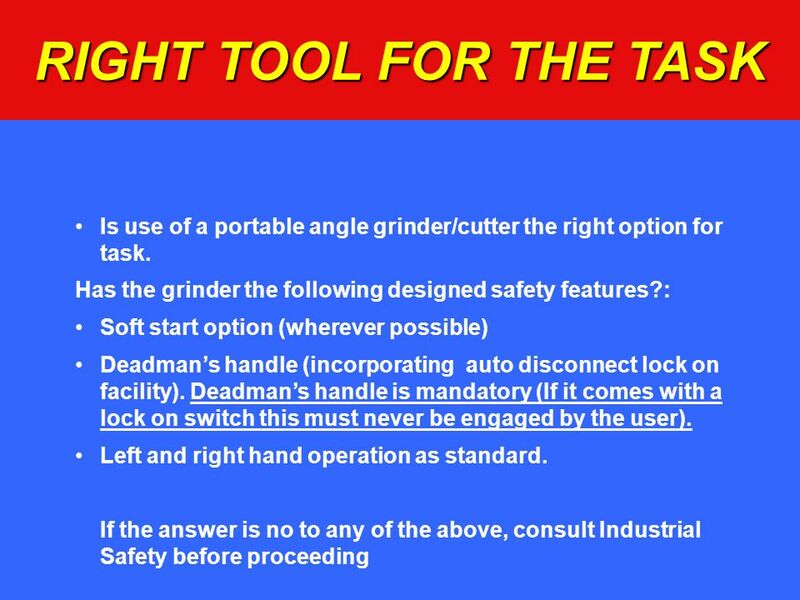 All rotating equipment and tools represent a hazard. Be aware of the risks of entanglement, abrasion, flying objects, noise and vibration and ensure the hazards are appropriately controlled. 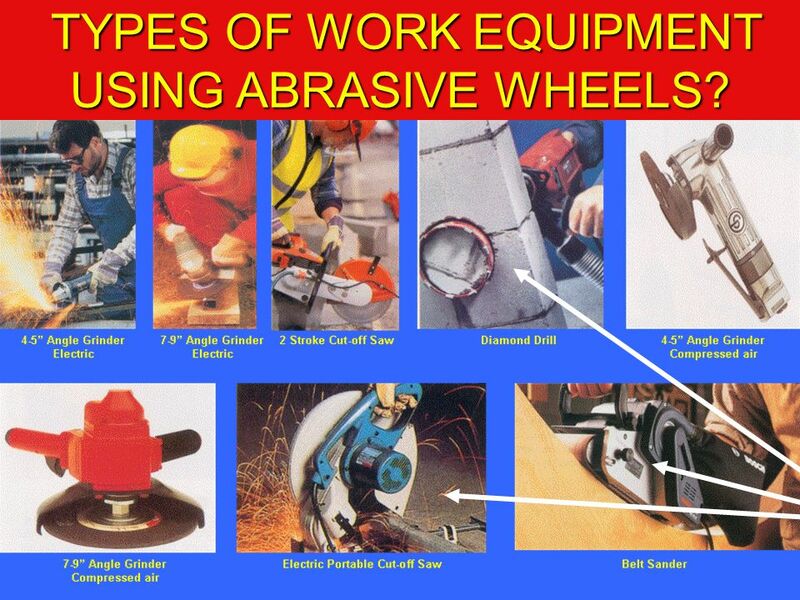 9 TYPES OF WORK EQUIPMENT USING ABRASIVE WHEELS? Touching wheel, burns, cuts, gashes, possible Amputations, inadvertent, behavioural. These can be prevented by training in the correct use. 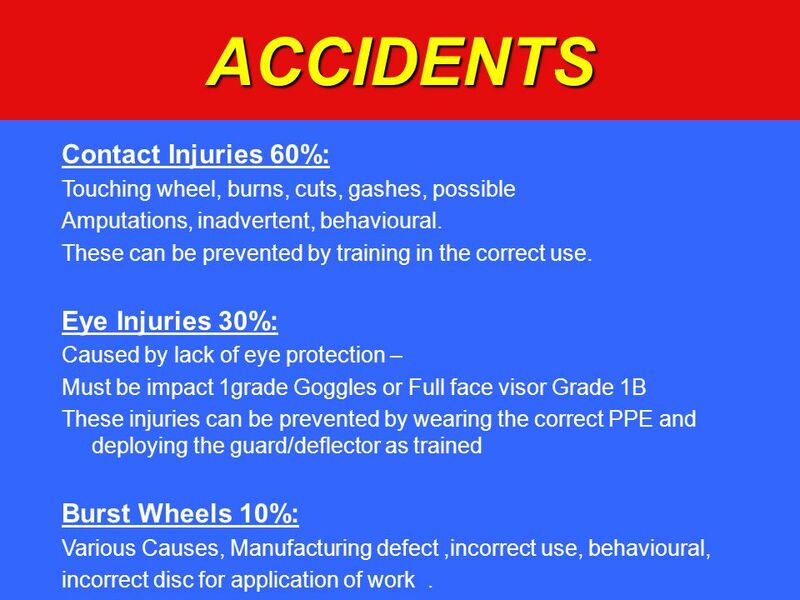 Eye Injuries 30%: Caused by lack of eye protection – Must be impact 1grade Goggles or Full face visor Grade 1B These injuries can be prevented by wearing the correct PPE and deploying the guard/deflector as trained Burst Wheels 10%: Various Causes, Manufacturing defect ,incorrect use, behavioural, incorrect disc for application of work . 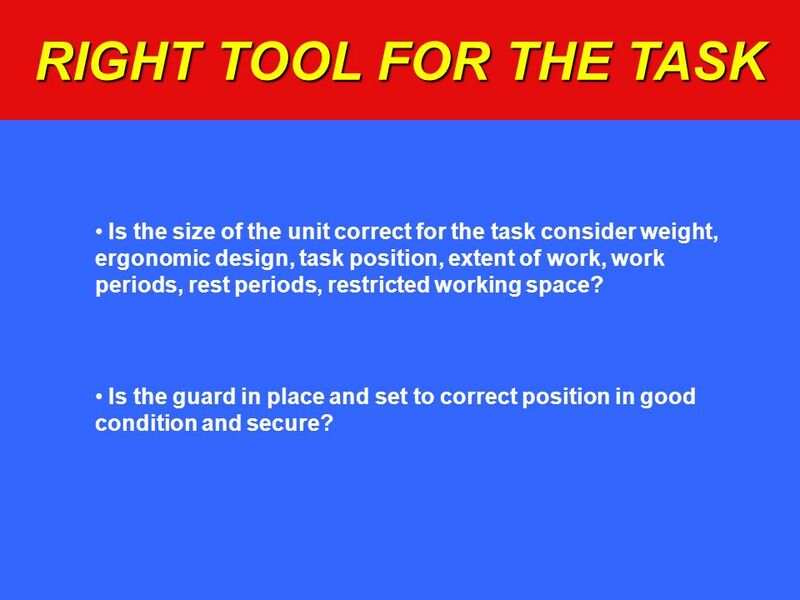 13 RIGHT TOOL FOR THE TASK Is the size of the unit correct for the task consider weight, ergonomic design, task position, extent of work, work periods, rest periods, restricted working space? 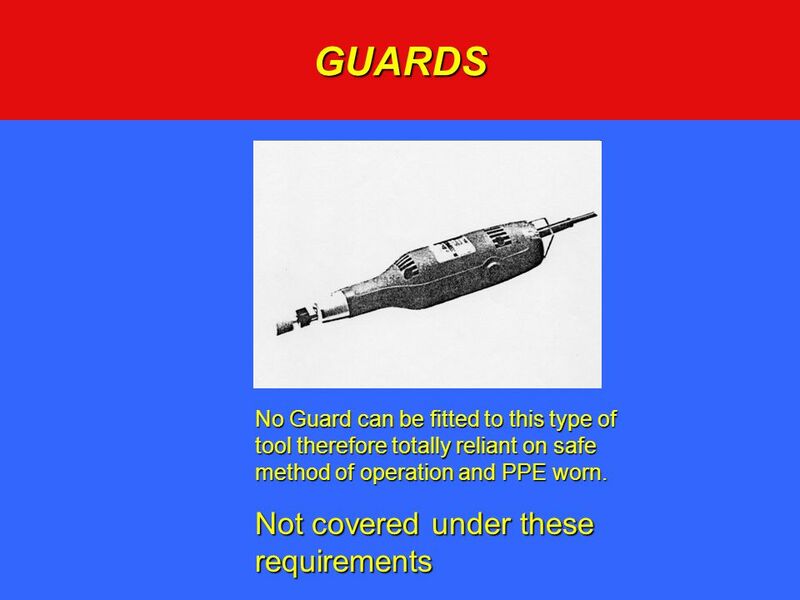 Is the guard in place and set to correct position in good condition and secure? 23 GUARDS All moving parts of work equipment must be suitably guarded. 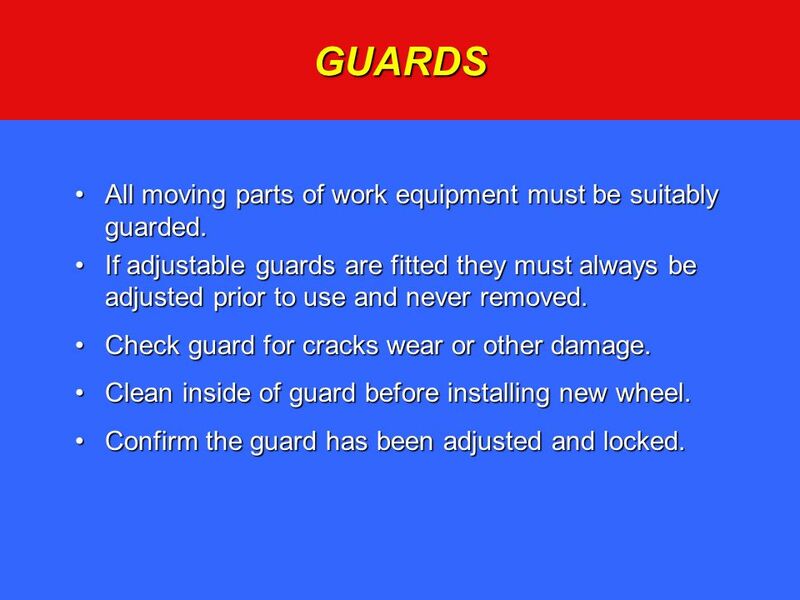 If adjustable guards are fitted they must always be adjusted prior to use and never removed. Check guard for cracks wear or other damage. Clean inside of guard before installing new wheel. Confirm the guard has been adjusted and locked. 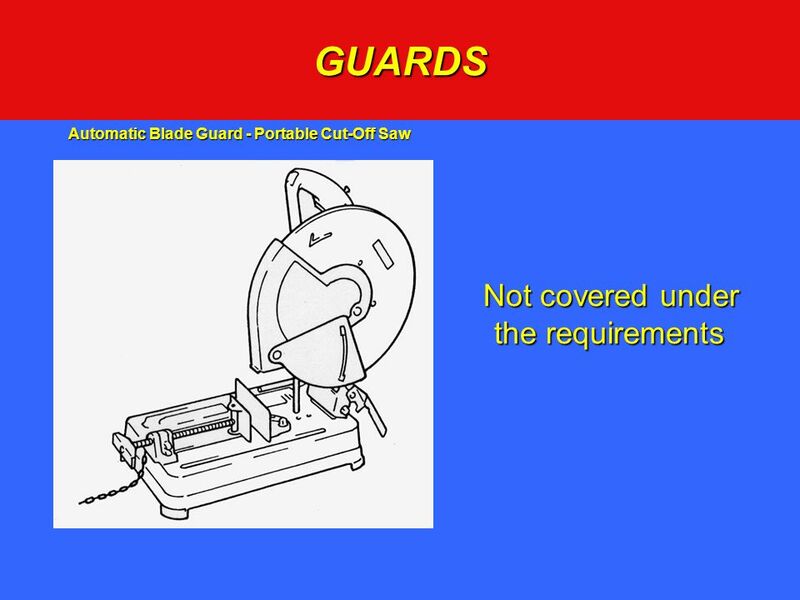 27 GUARDS – CONSEQUENCES OF NOT USING!!!! Task: Cut reinforcing bars from box-out in concrete wall. Unknown persons previously using the tool removed an angle grinder guard. The operative went to stores to collect an angle grinder, the only one available had its guard removed he took it anyway. 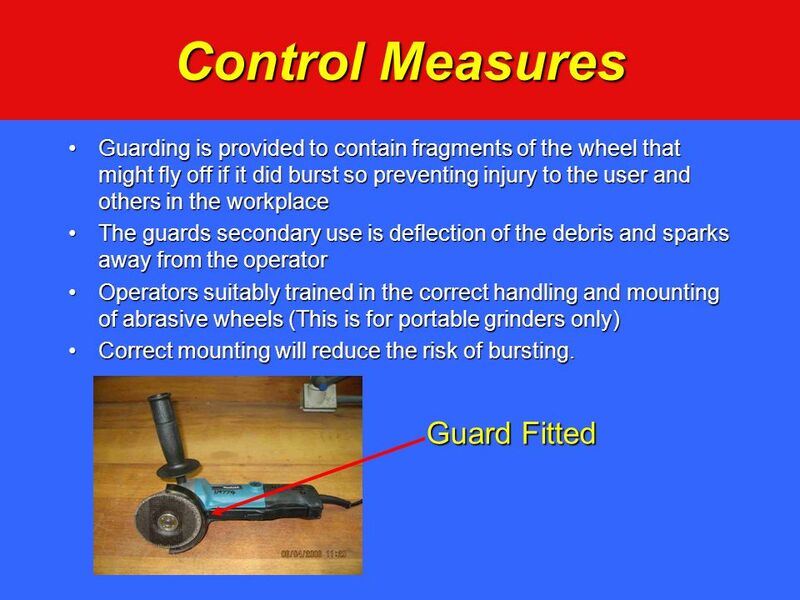 Work Equipment: 4” Angle grinder fitted with steel cutting disc. Personnel: Experienced General Labourer trained in abrasive wheels. The operative requested a new pair of gloves from the stores but the expected delivery hadn’t arrived yet. Instead of continuing to use the gloves he already has the operative doesn’t wear gloves whilst carrying out the task. 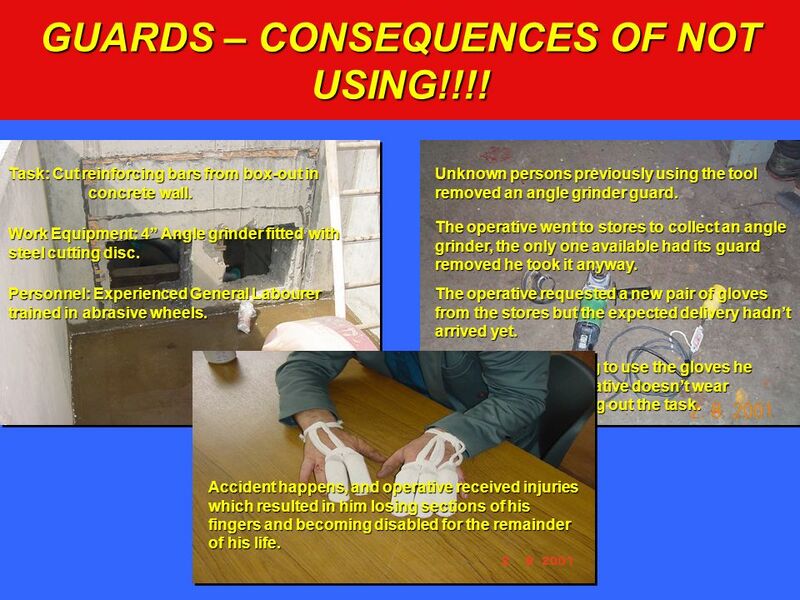 Accident happens, and operative received injuries which resulted in him losing sections of his fingers and becoming disabled for the remainder of his life. 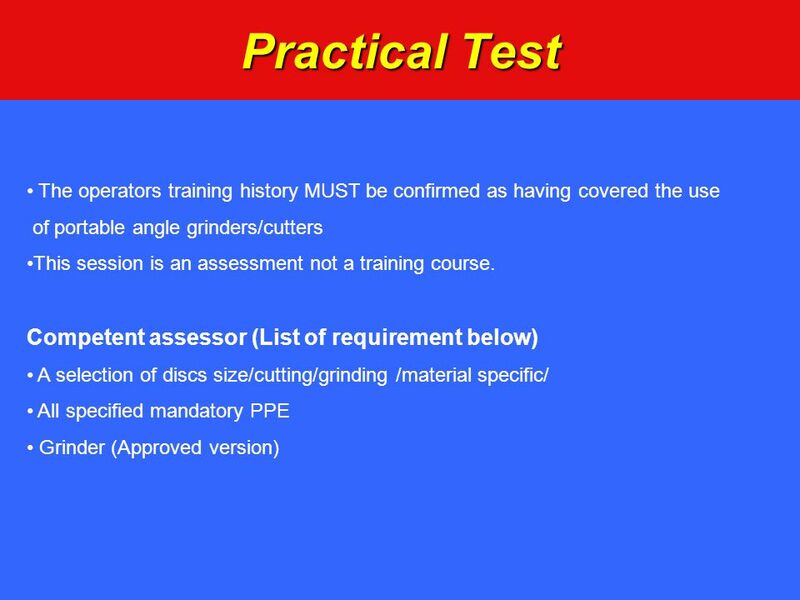 31 SUMMARY Abrasive wheels use is covered by the Provision and Use of Work Equipment Regulations 1998 You must be trained and deemed competent. 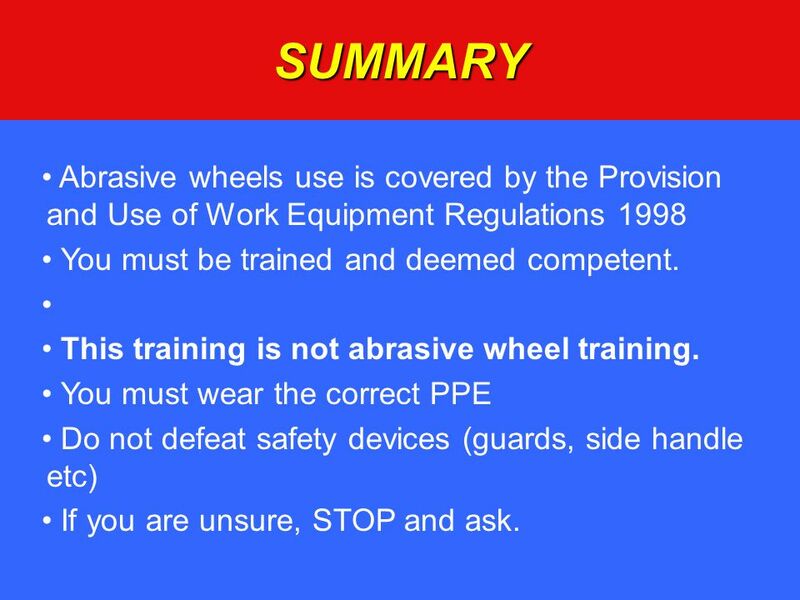 This training is not abrasive wheel training. 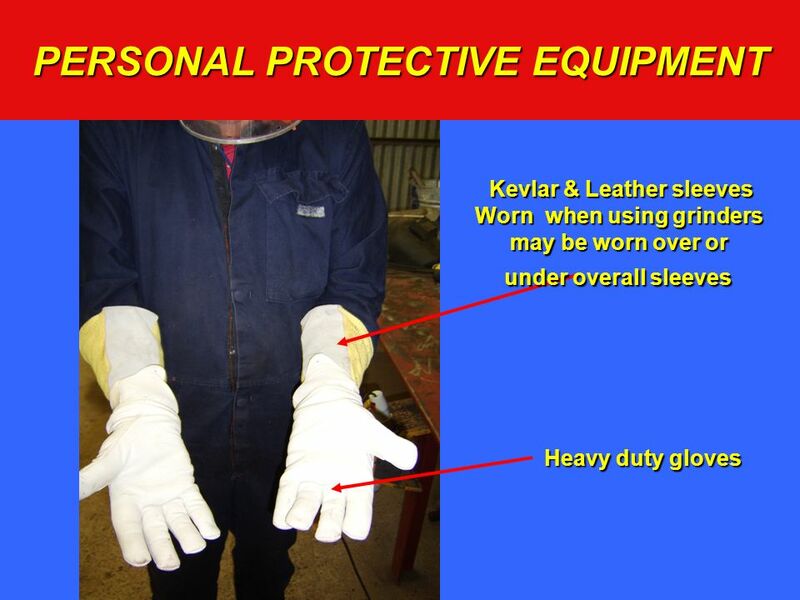 You must wear the correct PPE Do not defeat safety devices (guards, side handle etc) If you are unsure, STOP and ask. 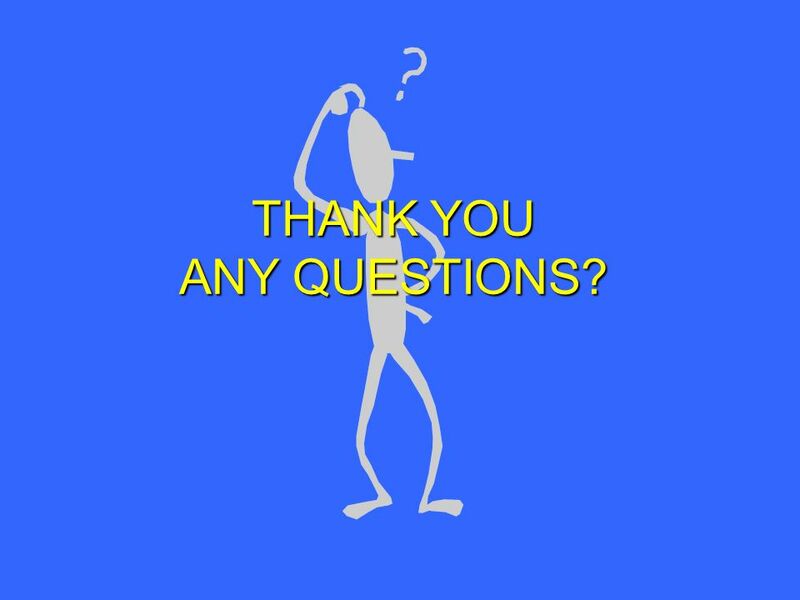 32 THANK YOU ANY QUESTIONS? 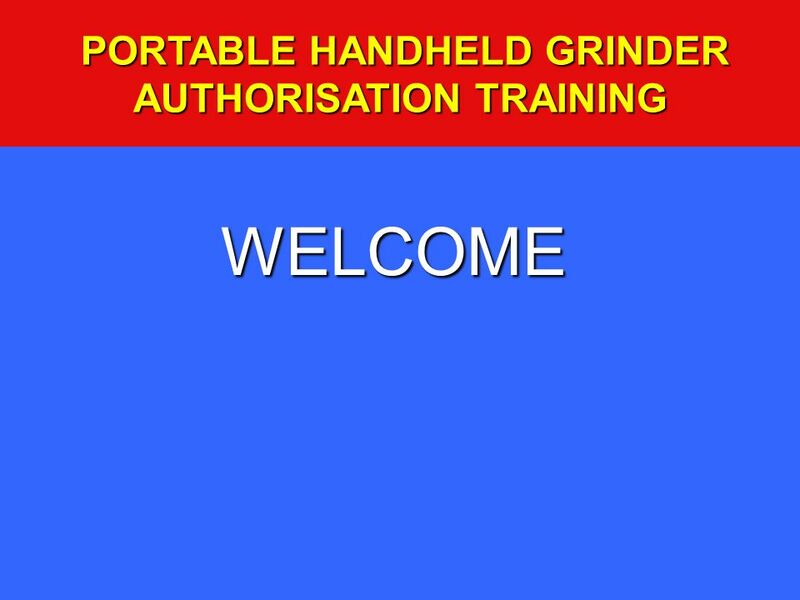 Download ppt "PORTABLE HANDHELD GRINDER AUTHORISATION TRAINING"
Personal Safety in Ag Mechanics Ag I Safety: Unit 1. Preventing Hand Injuries: Trends, Causes, Prevention Slide 1. 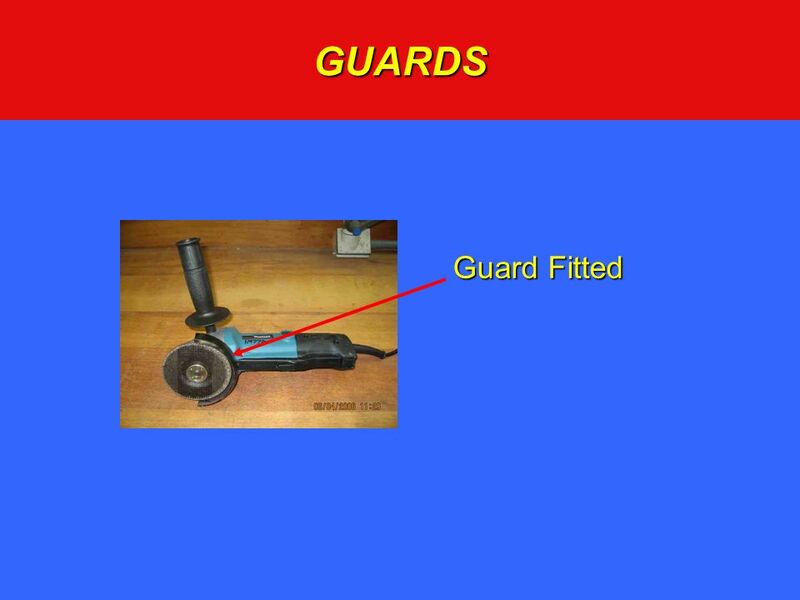 Air Powered Tool Safety Danger of getting hit by the tools attachments Never remove a guard Hoses & connections can fail Use whip restraints or quick connections. 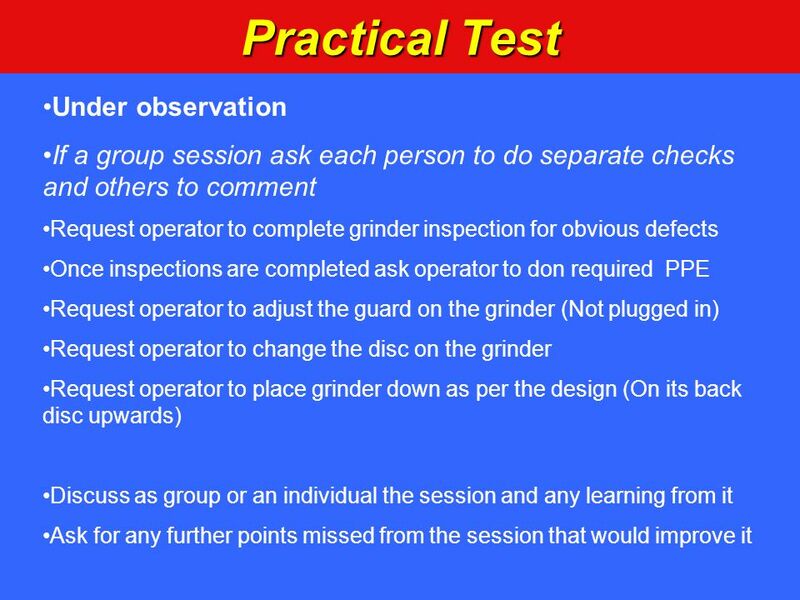 MACHINE TOOL PRACTICES SECTION A - Introduction Shop Safety Machine Tool Practices, 8 th Edition Richard R. Kibbe, John E. Neely, Roland O. Meyer, Warren. 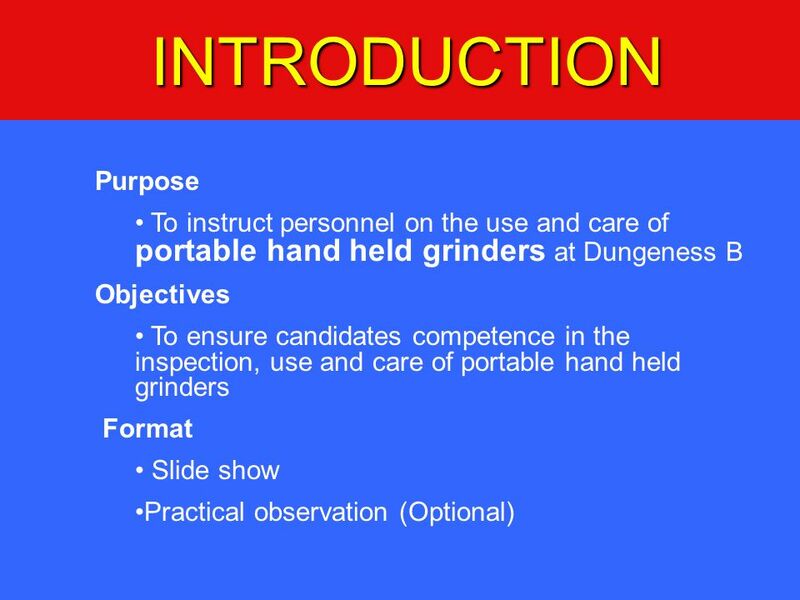 Grinder Safety Applications in Agriculture Shops OSHA Standard(s) and Produced by Idaho State University Office of Workforce Training. 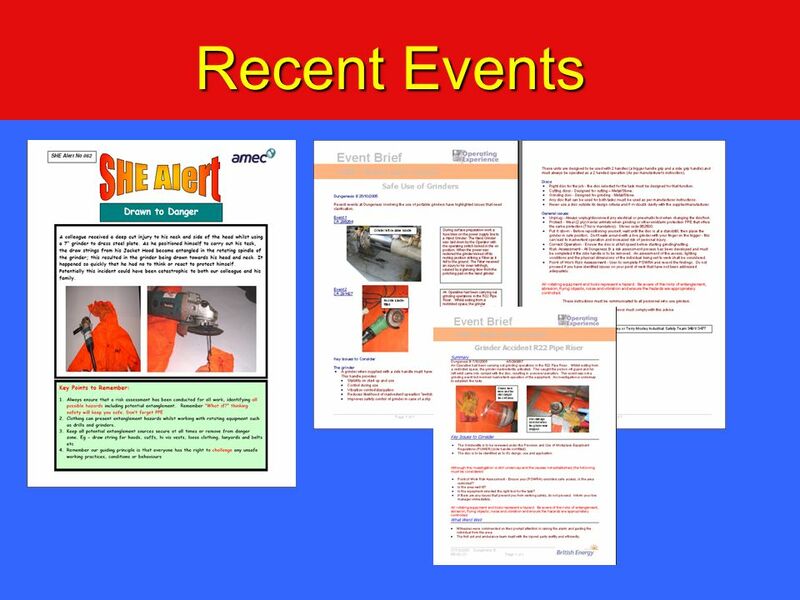 WOODSHOP SAFETY By James MacCabe Modified by Julie Doucette. General Electrical Safety. Why is it so important to work safely with or near electricity? The electrical current in regular businesses and homes has. City & Guilds Construction © 2013 City and Guilds of London Institute. All rights reserved. 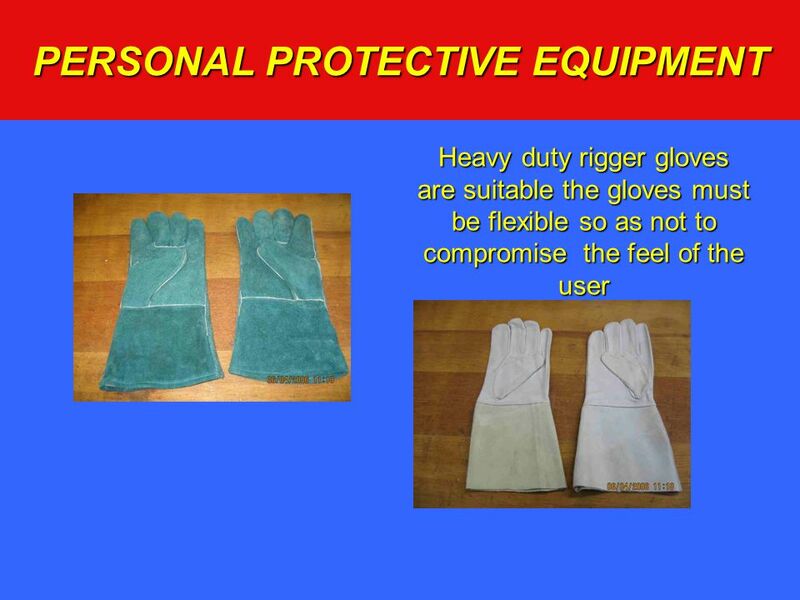 1 of 11 PowerPoint presentation Know how to use personal protective. 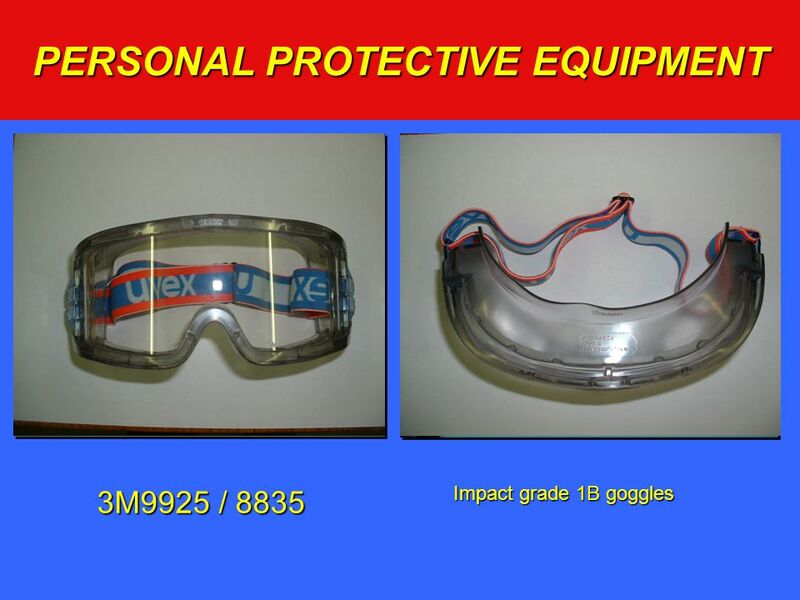 1 Personal Protective Equipment Module 6. 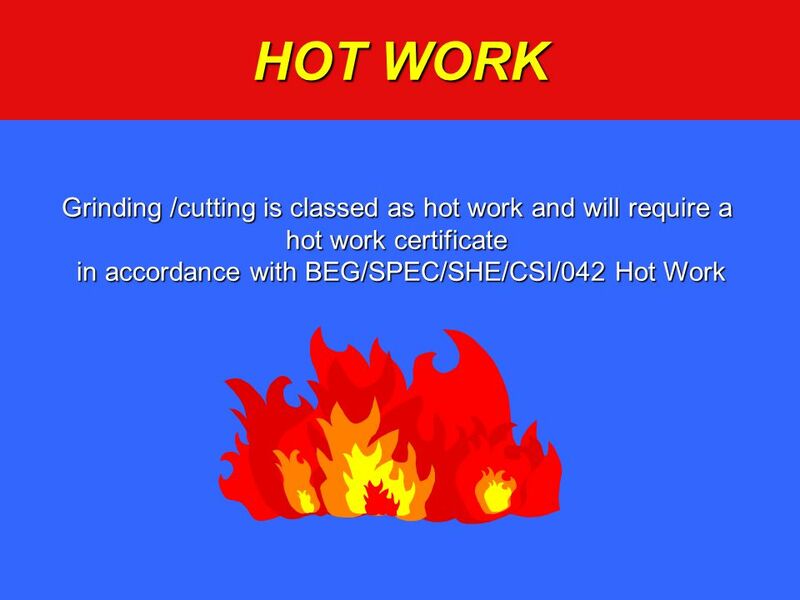 2Objectives After this module you should be able to – identify the most common PPE-related hazards – take the. 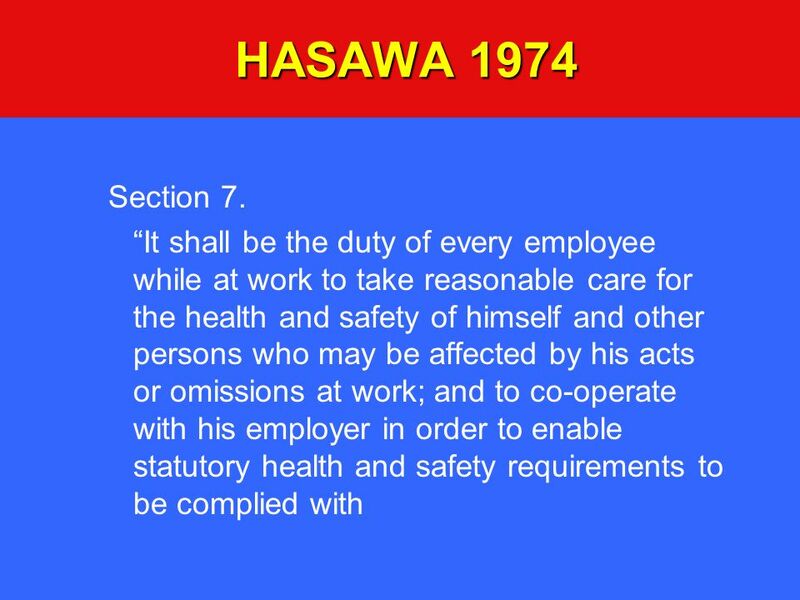 Occupational Safety and Health Course for Healthcare Professionals. 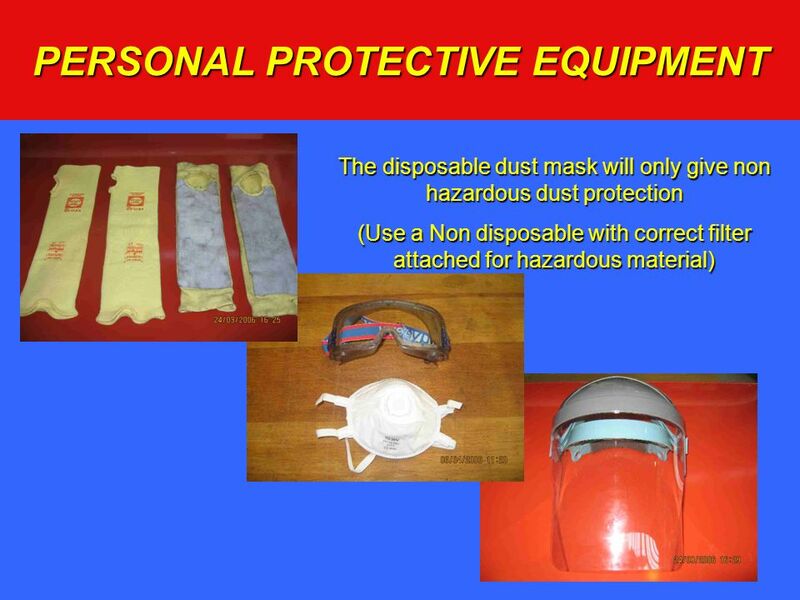 Procedure for the selection and use of Personal Protective Equipment (Revision 3 – 11 th June 2014) Toolbox Talk.